I have tons of random stuff pass through my hands. Some of the stuff brings memories up. That is what I love about being in this business, you never know what you will find. My shop is located in Rhode Island, where I was born and raised. Rhode Island has a very rich history of manufacturing, mostly Costume Jewelry. 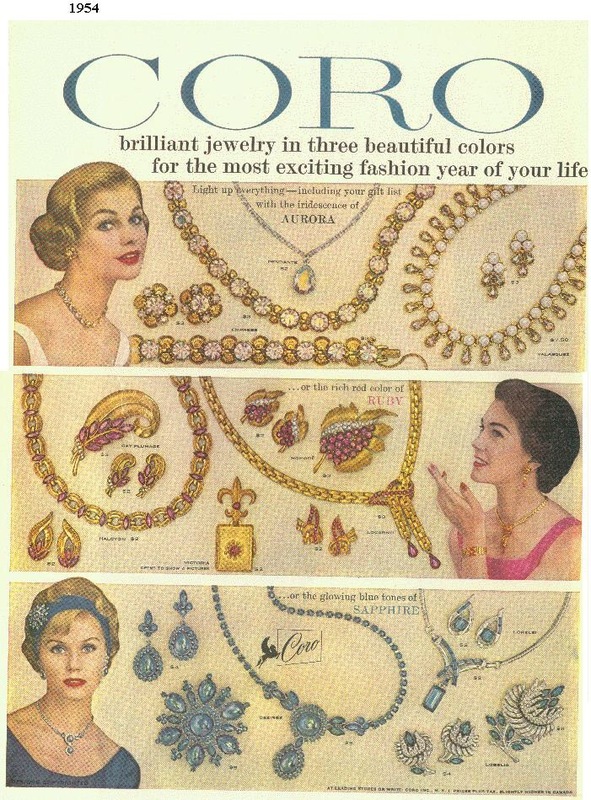 Coro, Trifari, you name the costume jewelry company, and it is likely to have had a factory in Rhode Island. This ring came into the shop today, as a part of a lot I bought. I thought the design was cute, and upon further inspection I noticed it was marked “Coro” “Sterling” and “pat. Applied for”. 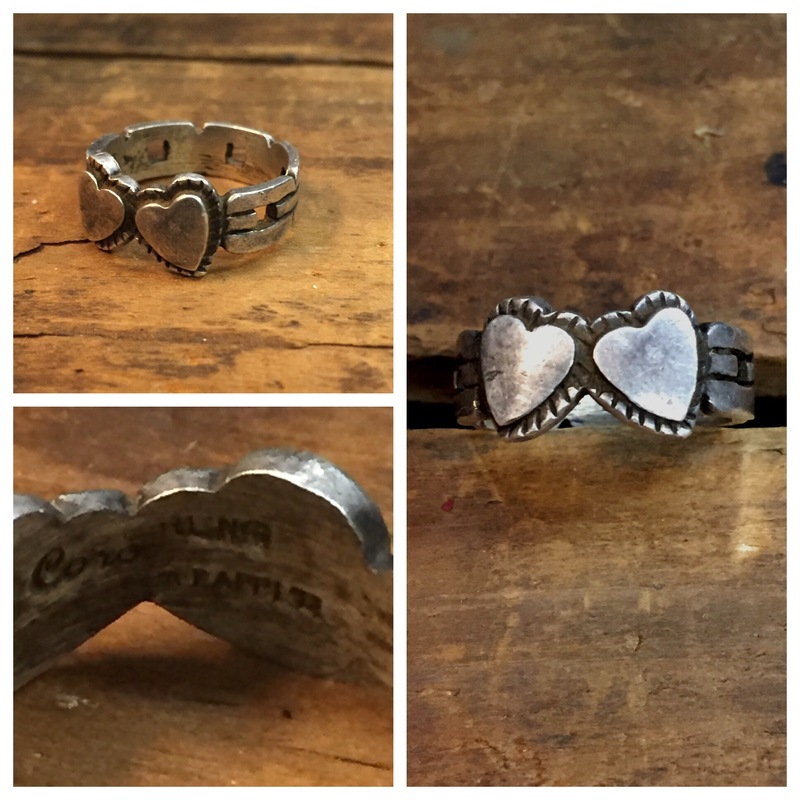 It is unusual to find a piece by a costume jewelry made in Sterling, but what I love most is that it is made by Coro. My grandparents worked in the Coro factory! I love to think that this piece could have passed through their hands 70+ years ago. Who knows? It is a possibility! The design is cool too, two Hearts with a chain link holding them together.